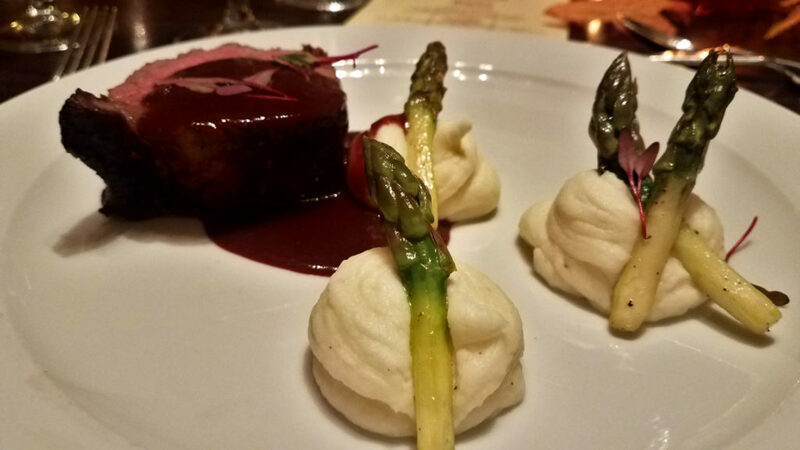 Food and wine… need I say more? 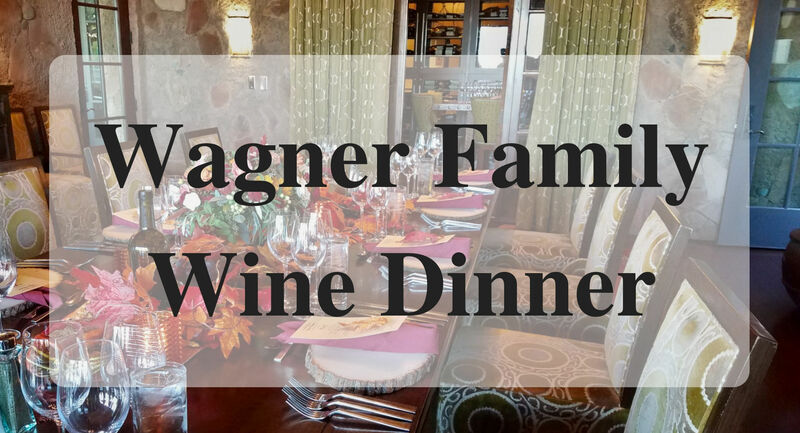 We were fortunate to be able to attend the Wagner Family Wine Pairing Dinner in October 2018. 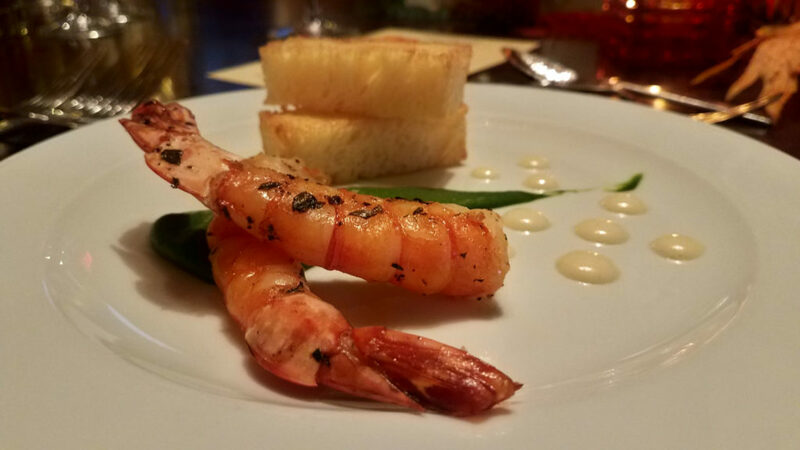 I am impressed with the Chef and how he and the wine marketing representative can determine what food to pair with wines. It is an art. At the event, there was a wine marketing representative who shared with us the history of the family company. 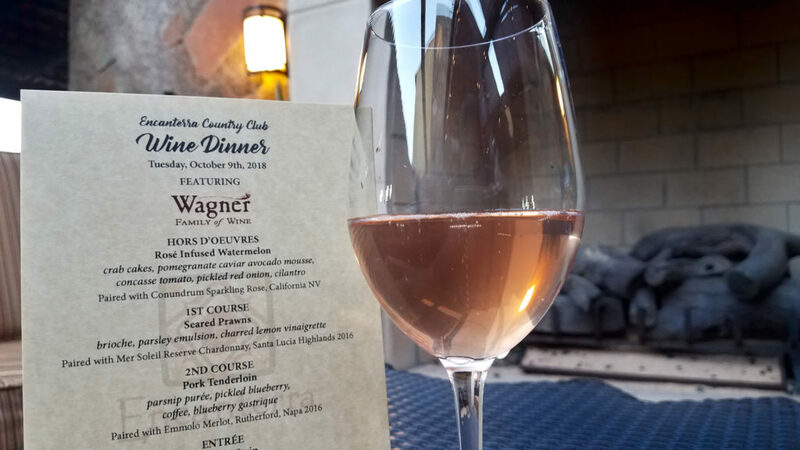 The Wagners family tradition of grape growers and winemakers started back in the 1850’s in Napa Valley. Their vineyards are in Rutherford, CA. Doors open at 5:30pm. The room set up with a large picnic style table that sat 8 chairs. One side of the room wall was open to the outdoors where a 2nd picnic table was set up. It was cozy and very intimate. 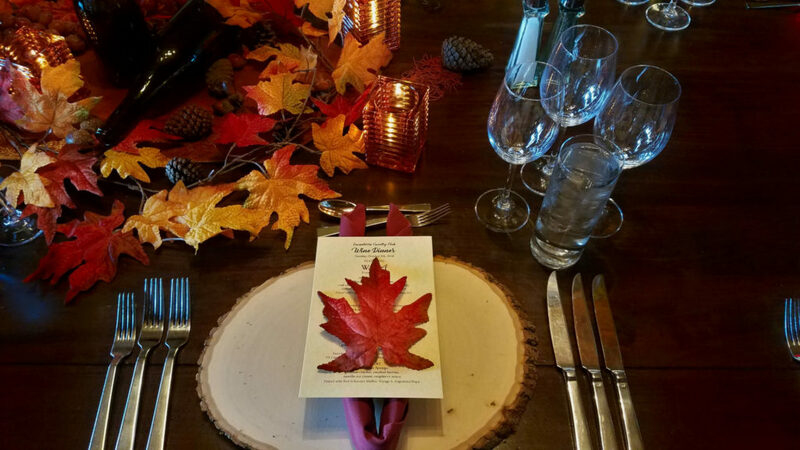 As we set our coats at the table to designate our seats, we were handed our first glass of wine and the wait staff starting to bring out the hors-d’oeuvres as were mingled inside and outside with the rest of the guests. Then everyone sat down to start the three courses & dessert. 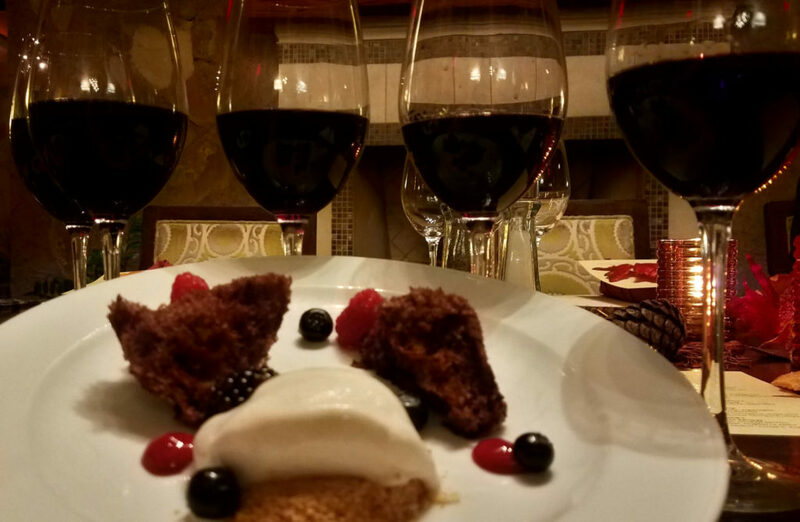 For each glass of wine, food was served and then the wine representative shared information about the wine and then the Chef would share information about why he choose the food pairing and how it was prepared. After 2 hours of learning, drinking, and eating, the event concluded. 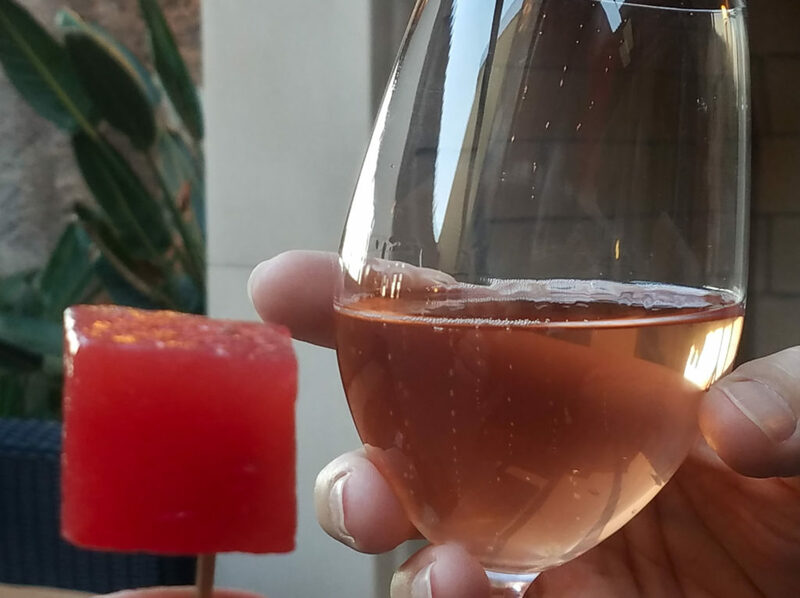 Have you attended a wine pairing event? If yes, what state was it in? Wow!! The food looks amazing. I don’t drink alcohol but, sure looks li kn e a wonderful time. Everything looks so delicious! I would love to try this sometime! Looks like a great experience. It’s not something I’d be into doing, but I have a lot of friends who would love this! This looks like a lovely experience! The food looks amazing, and I’m sure the wine was delicious as well. I’ve never tried a tasting…might have to do one now! Looks like a fabulous night! How fun! This looks amazing! I’ve done a few wine dinners in the past and they are so fun! 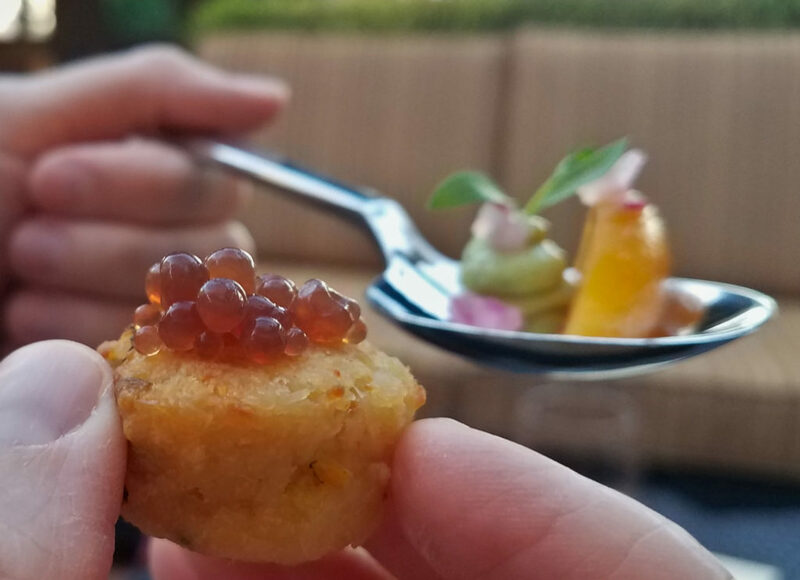 I have done this at Emerils in Orlando. So much fun! That is awesome. What was your favorite dish? Wow this meal looks so delicious. 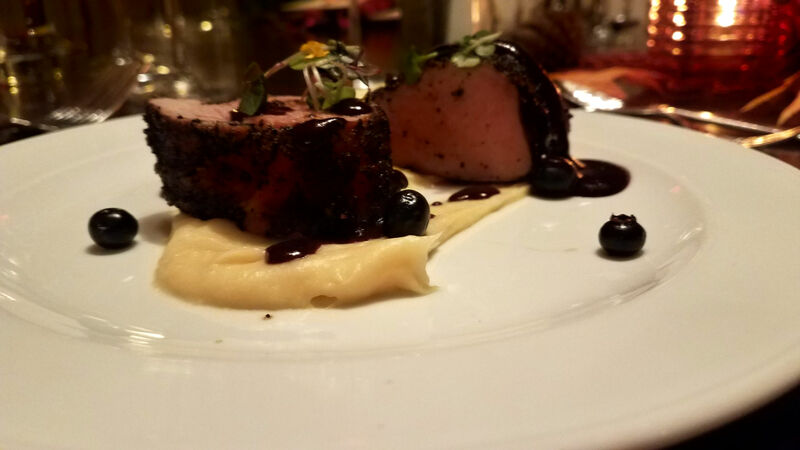 Pairing wines with food is the best and getting to tease out the different tastes in the wine when pairing it with food is so exciting for the taste buds. Beautiful pictures! They look professional. I have never had this experience. My partner would have to drink the wines, as I do not consume alcohol, but the experience would be worth the delicious food. Yes, just attending for the food is worth it.